Meryl Felstorm: There is a goblin who is a master of portals and teleportation by the name of Akazamzarak. His talents have gone mostly unnoticed, however, since he mostly uses them for chicanery. He is, what you would call, a street performer. Fortunately for us, he is performing in the streets of Dalaran, grifting coins from the unenlightened masses. Take this bag of gold. See if you can convince him to change vocations. 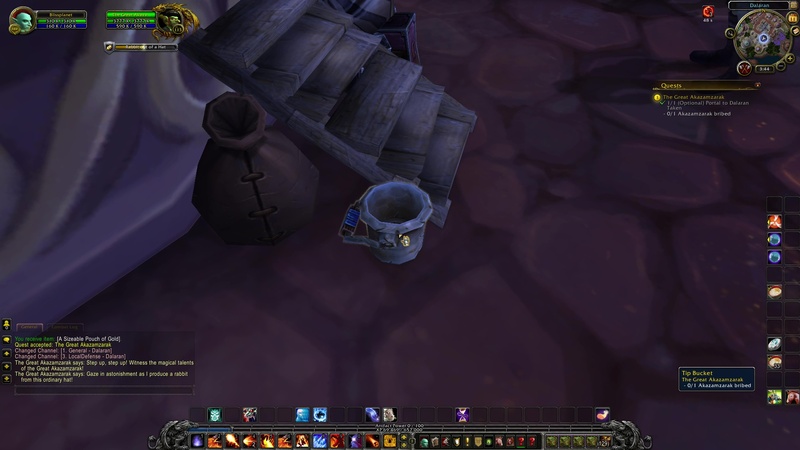 Place the Sizeable Pouch of Gold in Akazamzarak’s tip bucket. 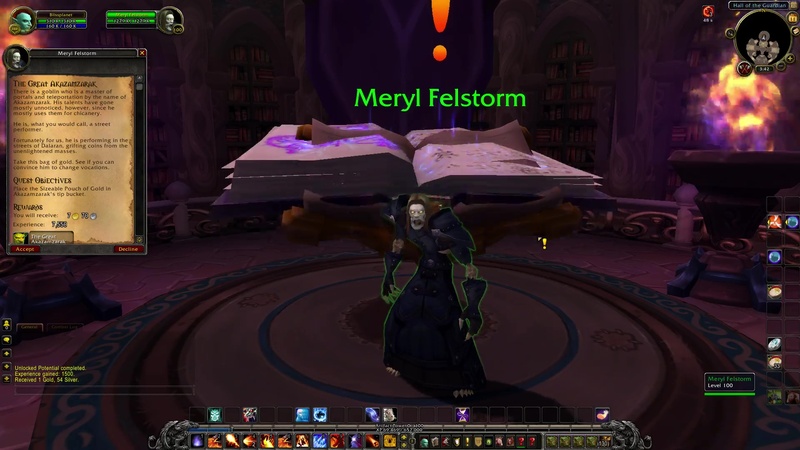 TIP: There is a portal to Dalaran all the way south of the Hall of the Guardian. The Great Akazamzarak: Step up, step up! Witness the magical talents of the Great Akazamzarak! Gaze in astonishment as I produce a rabbit from this ordinary hat! 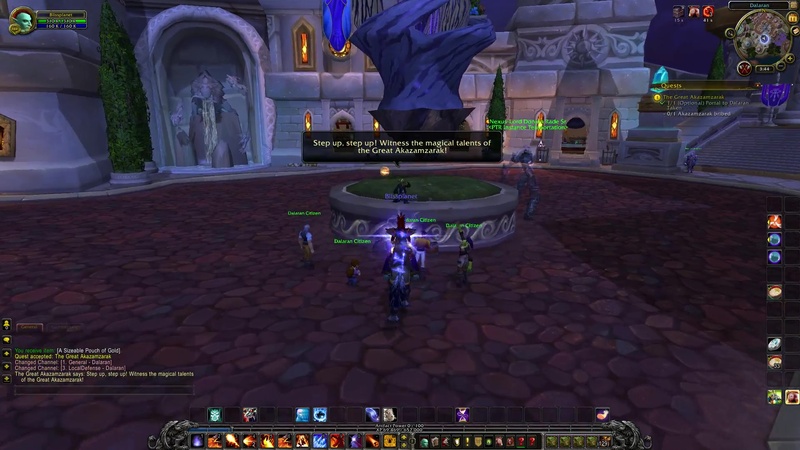 NOTE: Akazamzarak is located at the fountain in Dalaran. Click his coin bucket on the floor. 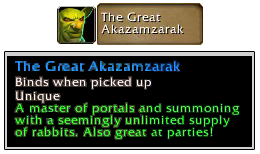 The Great Akazamzarak: Now that’s a tip! Show’s over folks! Go on, scram! The Great Akazamzarak: You could say you’ve got my attention, pal! So you’re looking to hire me on full-time, eh? Well if the future payoffs are anything like this, I’d say you’ve got youself a deal. 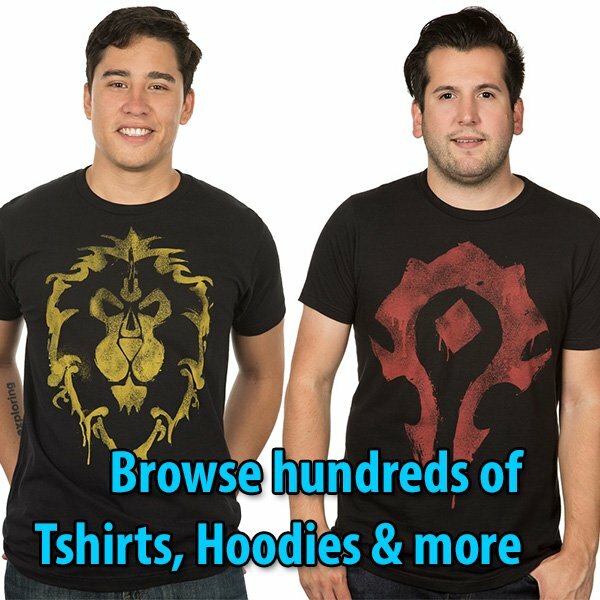 [The Great Akazamzarak] is now your follower.